The Key to College Success... was a SUCCESS! 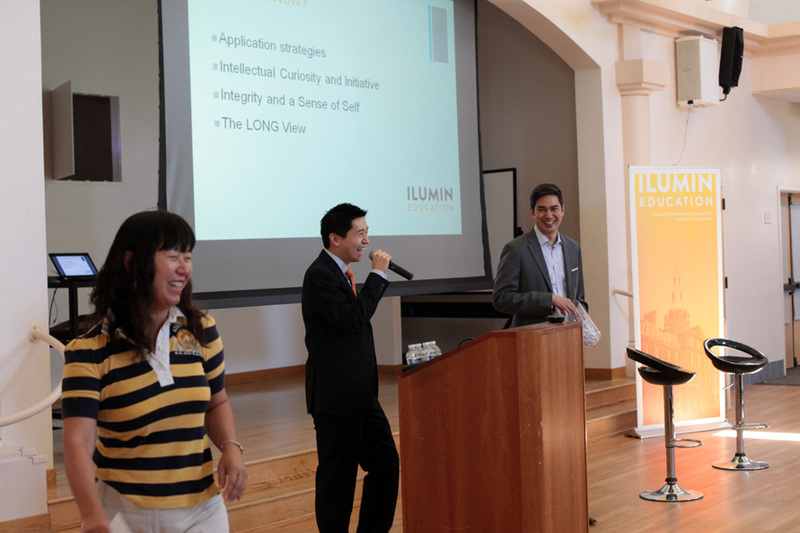 Many thanks to those of you who came to our first community seminar entitled "The Key to College Success"! We're thankful for all the kind words and glad you left with refreshing and practical advice. 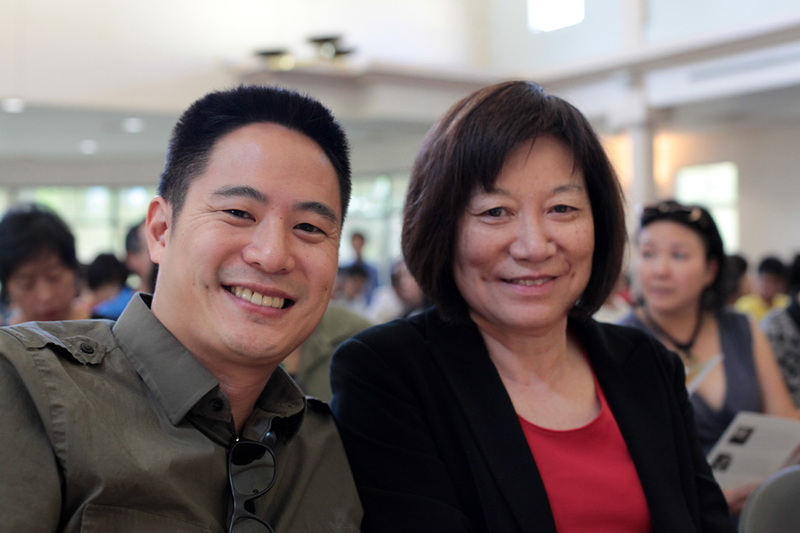 We're extremely grateful to our two special guests, Shirley Lin (the mother of Jeremy Lin) and John Rue (former University of Michigan Senior Admissions Counselor) who had ample wisdom to share about both the parenting and the admissions process. Lastly many thanks to two great partners, AJ Tutoring and Legend Learning who donated the SAT Training Class and AP Class, so we can share it with those who came. For those who weren't able to attend, we're working on editing the video so we can share some highlights from a great afternoon. In the mean time, sign up for our email list (scroll to bottom) and we'll let you know as soon as it's ready. Enjoy a few photos from event. Thanks and will be in touch! Shirley LIn and Elton Lin doing a question and answer session with the audience. Former Michigan Senior Admissions Counselor, John Rue, sharing wisdom on the admissions process. 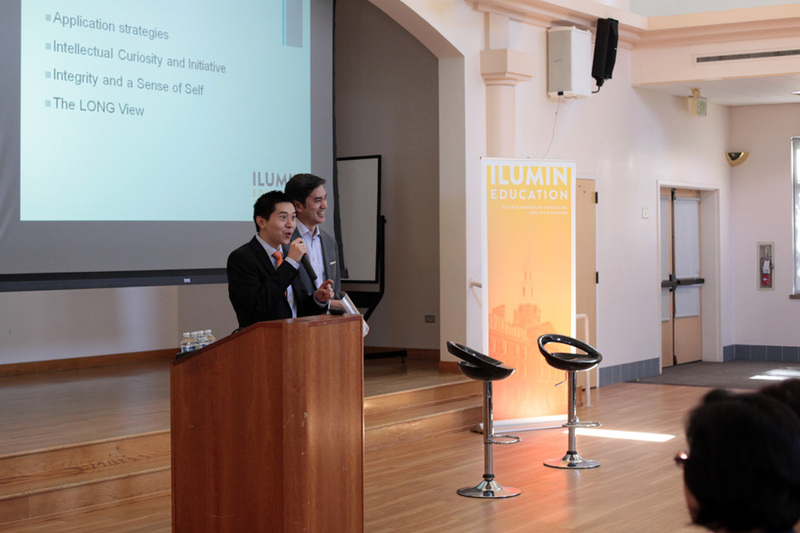 John Chen, Educational Consultant from ILUMIN Education, speaking with seminar attendees (and new friends). 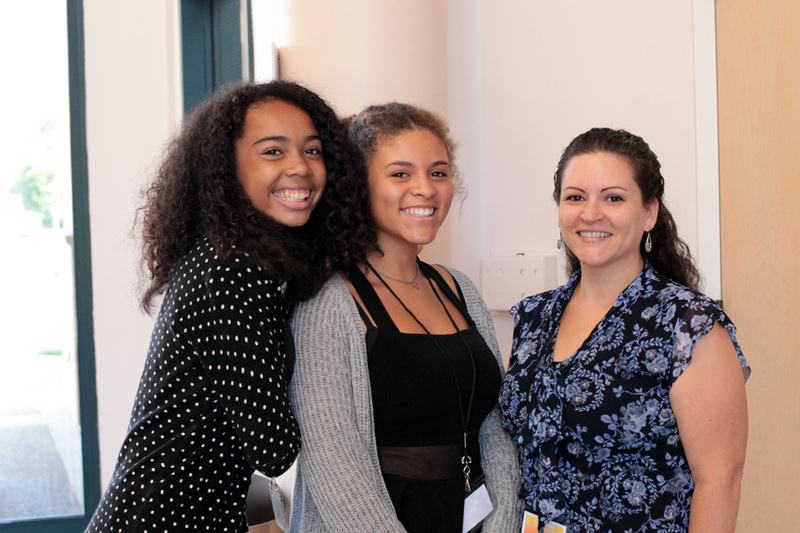 Photos from the The Keys to College Success Event (CLICK on photo above for MORE photos); also Amritha the winner of the iPad giveaway! I'm on the WAITLIST! WHAT DO I DO? Applications have skyrocketed for almost every school. Cornell went up 7%, UC San Diego went up almost 9% (90,000 applications!) and Colorado-Boulder went up a whopping 33% (legalization of marijuana or the Denver Broncos... you decide). All that being said, it's getting more and more competitive. It also means more schools are using the waitlist. Why? With an increase in applicants (internationals! ), an increase in the number of applications each student is submitting and no increase in the number of seats in a freshman class (for most schools), it's more and more difficult to predict whether an accepted student will actually come to the school. Simply said, being on the waitlist means you'll be considered if there are open seats after the accepted regular decision students have responded. What are your odds of getting picked? Not great. 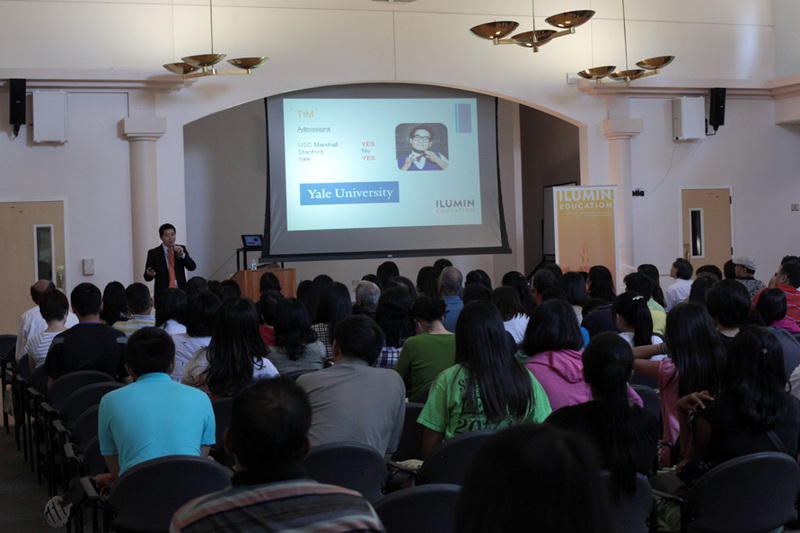 Last year Yale took ten percent (10%) off the waitlist (not bad actually). Notre Dame took seven percent (7%). How many did Stanford take off their waitlist? Zero. Zero percent or zero people... either way it's a big donut. The moral of the story is don't put too much hope in the magic waitlist. With schools using the waitlist more and more, the percentage will likely go down (thankfully Stanford's percentage won't be going down any further). CONSIDER YOUR OPTIONS - Don't wait on hearing whether you get off the waitlist. Make a decision and go with your 2nd choice. Go ahead and secure your spot (do it before the May 1st deadline of course). It's also good to take yourself off the waitlist of any school you really don't intend to go to. It'll give others a better shot. WRITE THEM A LETTER - Well before May 1st (ie. ASAP), write a letter to your admissions representative (the person in charge of evaluating apps in your region). Send a copy to the main admissions office too. Don't get super mad, but be positive. You're NOT a loser for not getting into their school, so don't come off as one. In your letter, talk about how you see yourself fitting in (classes, professors, activities) and how you would contribute to the academic community. Also talk about how you remained committed in your classes and activities in this last semester of high school. Share any new awards, improved grades, updated test scores. Lastly, if the school is your first choice, then say so. They'll more likely select you if they can count on you coming. ADDITIONAL REC LETTER - You might consider also sending a letter of recommendation from someone who can shed a different light on you (other than the ones you already submitted). It might be a community leader, a pastor, an employer, or even senior year teacher who has gotten to know you. But only send one... too much stuff is too much (some schools explicitly say not to send additional recommendations - if so, do NOT send recs). DON'T SLACK OFF - Technically the entire year is up for review when they consider you. So don't slack off. Study for those AP tests. Finish off the year strong. Schools don't want slackers... so don't be one. Lastly, don't get too sad. You make the school, the school does NOT make you. If you work hard, take advantage of opportunities and have a great attitude, you will be successful no matter what. Harvard doesn't assure happiness. Yale doesn't promise a big paycheck. It still comes down to you. And that's a good thing. Need further advice? Help? Guidance? Don't hesitate to contact us! Good luck!